Stony Brook Alum Composer Max Giteck Duykers’ String Quartet Glass Blue Cleft was selected as a winner of the Music Now Competition, and will be featured at ISU’s 46th Annual Festival of Contemporary Music, with guest composer Christopher Theofanidis. Cellist and festival chair Kurt Fowler will lead a faculty performance. Max Giteck Duykers is a composer whose work is dedicated to unusual beauty. His music has been performed throughout the United States, in Italy, England, and Romania. He was recently commissioned by the Jerome Foundationto compose The Apricots of Andujar for his father, tenor John Duykers, electro-acoustic percussionist Joel Davel, and pierrot sextet. This is a chamber opera which is being developed with acclaimed filmmaker and playwright Philip Gotanda and veteran director Melissa Weaver. The piece was workshopped with Birds on a Wire at Western Michigan University in March 2012, and will be premiered by Fear No Music in Oregon and by Earplay in San Francisco and Petaluma in the 2013-2014 season. Duykers has also received commissions to compose music for over 35 theatrical, dance, film, and multimedia projects in the New York City area, and with the theatre group Prototype he was an artist-in-residence at HERE Arts Center in 2002-2004. In 2000-2001 he worked for Philip Glass’ The Looking Glass Studios and Dunvagen Music Publishers, where he did studio recording, Pro-Tools post-production, music sequencing, music copying and music editing for the Philip Glass Ensemble, film scoring projects, and operatic works. He holds a BM from Oberlin Conservatory where he studied composition with Randy Coleman, and he has just finished his PhD at Stony Brook University where he studied with Sheila Silver. At Stony Brook he also taught music theory, musicianship and private composition to music majors. 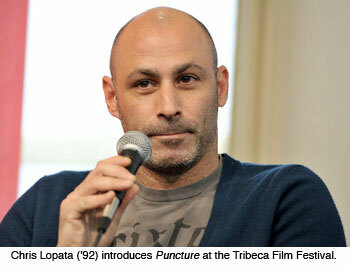 He lives in Brooklyn with his wife Rebecca and sons Quinlan and Liev. For for information, visit his website at www.jealousgods.com. “My dream was to make music and music education available to students of all backgrounds”, says SVMF founder Ray Furuta. The dream for the Silicon Valley Music Festival started to develop seven years ago in the mind of a student from San Jose’s Eastside, Independence High school, Ray Zamora-Furuta. Recently graduated from Stony Brook University in New York with a Bachelor of Arts Degree, Ray sacrificed his graduation ceremonies with his class to be in San Jose, making preparations for the festival, which will include two outdoor concerts, six indoor concerts, student masterclasses and an outreach program. Already an accomplished musician himself as a protege of the world renown flutist, Carol Wincenc and teaching assistant for Emerson Quartet, this was his way of thanking his family, friends and community for their support in his journey. Ray’s passion for music and desire to give back to the community has earned him the respect of a team of world class musicians willing to help him make his graduation dream come true. Internationally acclaimed classical musicians such as Philip Setzer, violinist and founding member of the Emerson String Quartet, Katherine Murdock, violist of the Los Angeles Piano Quartet, Mark Hill, Principal oboist of the National Philharmonic in DC, amongst others will join young emerging artists to present classical music both familiar and wholly new as well as compositions by contemporary artists. In this inaugural year, the festival taking place from June 24-29 will be providing a variety of musical activities throughout Silicon Valley at a fraction of the cost or free, which would benefit and appeal to young aspiring musicians, professional musicians, and music lovers alike. For concert dates and ticket information, visithttp://www.svmusicfestival.org or call 408-230-5199. Staller Center’s Annual Gala features one of Broadway’s finest talents, Bebe Neuwirth, in her show, “Stories with Piano,” on Saturday, March 10, at 8 pm. The multi-talented actress; singer; dancer; and star of Broadway, movies and television, is best known for her acclaimed roles in Sweet Charity, Chicago, Damn Yankees, The Addams Family, and as Lilith on the television show,Cheers. Future roles for Neuwirth include a re-occurring role on CBS TV’s The Good Wife. For the Staller Center Gala, Neuwirth will perform Broadway and cabaret favorites accompanied by Scott Cady on piano in a sophisticated cabaret evening of stories and song. Staller Center Director Alan Inkles has wanted to have Bebe Neuwirth perform here for years. Her busy schedule precluded it. He met her backstage at a performance of The Addams Family. Tickets for Bebe Neuwirth “Stories with Piano” are $65, available at www.stallercenter.com or (631) 632-ARTS. Preferred seating and tickets to a Gala Benefit Reception following the performance are also available by calling Katie Stockhammer, director of development for the arts, at (631) 632-4062. Gala proceeds help support Staller Center’s season and educational outreach efforts. Proceeds from the program will benefit SBU’s Wo/Men’s and Gender Resource Center. We hope that you will join us on February 23 or 24. Can’t attend? For more information about the Center for Prevention and Outreach, visit the website or contact Christine Szaraz ’03, Event Coordinator at 631-632-1658 or christine.szaraz@stonybrook.edu. 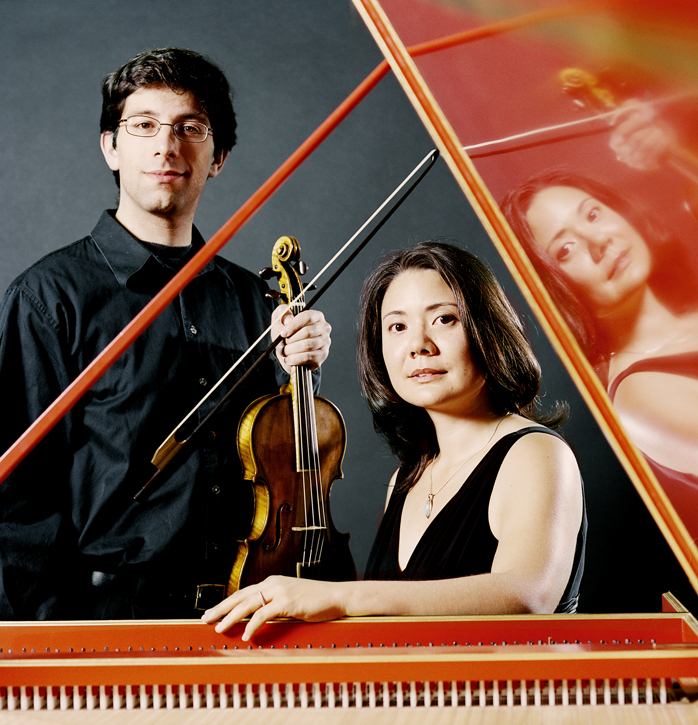 Flying Forms – the brilliant new group led by distinguished Baroque violinist, Marc Levine, and harpsichordist, Tami Morse, both graduates of the Stony Brook music department features some of the finest young talent in America today performing music from all corners of the Baroque age. Renowned the world over for its imaginative and athletic exploration of creative collaboration, Pilobolus is dance at its innovative best! The physically daring dancers seem to break all the rules. Pilobolus’ founders played around with shape, weight sharing and wild ideas in a dance class at Dartmouth College forty years ago. Pilobolus has evolved into a pioneering American cultural institution, producing choreographic works as innovative as ever. His dream was to be an actor. 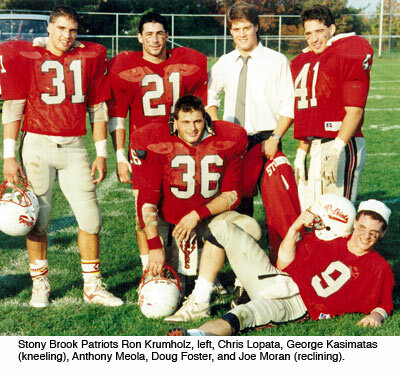 But for Chris Lopata, who played on the Stony Brook Patriots football team as an undergraduate, getting parts in short films, commercials, and a major movie was just the first step on his way to success. He’s found his greatest fulfillment—and plenty of recognition—in writing and directing films. After graduating from Stony Brook, the lifelong movie fan studied acting at the Lee Strasberg Institute in new York City, where he met his wife, Trista. He landed many acting roles, including a part as an FBI agent in the movie Ransom, starring Mel Gibson and directed by Ron Howard. The money he earned from that project allowed him to produce and direct his first short film, Open Season. The Syosset native came to Stony Brook in 1988 and played defensive back and then starting cornerback for the Patriots under Head Coach Sam Kornhauser. Defensive coordinator for the team at the time was Coach Dave Caldiero and position coach was Coach Jim Steigerwald.